This exhibition marks 100 years of Jazz in the UK exploring the impact that jazz had on Britons from 1918. Rhythm & Reaction: The Age of Jazz in Britain will highlight how the new jazz sound in post-War night clubs and dancehalls provided exciting new material for British artists. 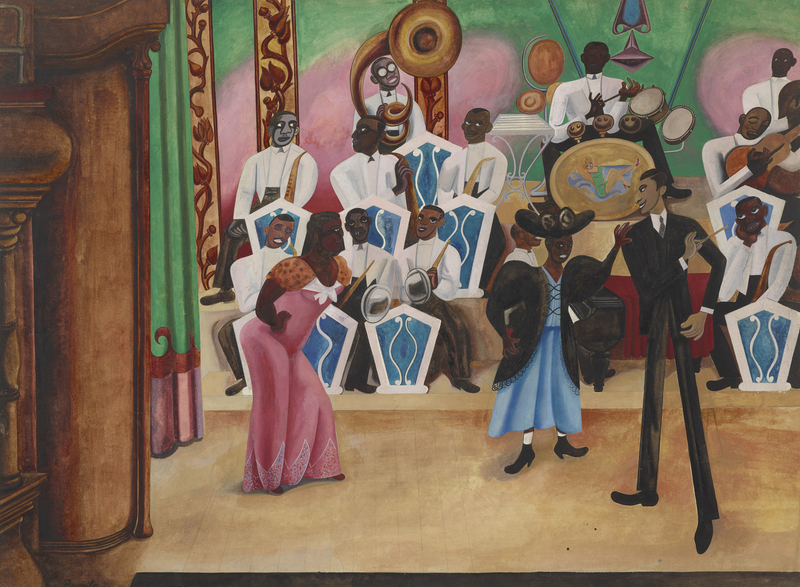 Bold depictions of lively dancers by William Roberts and Frank Dobson, will be displayed alongside the Harlem-inspired paintings for which Edward Burra, one of Britain’s foremost Modernist painters, was well-known. Jazz provoked varied reactions from devotee to abhorrence when the idea, and then the sound, of the music first entered the consciousness of the British public in the aftermath of the First World War. American groups such as the Original Dixieland Jazz Band and the Southern Syncopated Orchestra offered Britons their first chance to experience the music live and made strong strides in popularizing the sound. The growing interest in jazz brought black and white musicians, artists and audiences together, and was crucial in influencing changes in British society; moving from stereotypes descended from the minstrel show to a more nuanced understanding of and interest in African American and black British culture. The exhibition is curated by Catherine Tackley, Professor and Head of Music at the University of Liverpool and one of the UK’s leading authorities on jazz.